Construction is now underway on Northshore Christian Academy’s Cascade Pavilion. 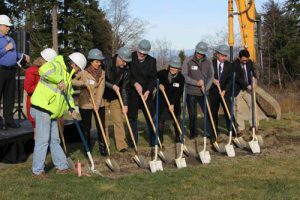 The school held a groundbreaking ceremony for the 15,000 SF facility in February. Construction completion is expected in August. Also check out The Everett Herald’s recent article featuring the school below.